Gilbert, Arizona: It's The Tops! Gilbert, Arizona: It’s The Tops! Gilbert is widely recognized as one of the nicest places in Arizona, and even the entire United States. What, exactly, makes our town so special? Here are ten lists Gilbert’s landed on that prove just how awesome Gilbert really is. This last year, Money Magazine ranked Gilbert 22nd in its list of the best places to live in America. They cite the Gilbert Historical Museum, the incredible restaurants and diners, and our easy access to “the stunning vistas of San Tan Mountain” and Dutchman State Park as just a few of the many reasons Gilbert ranks as a top town. WalletHub analyzed 25 key metrics, including cost of living, recreational activities, and job prospects for workers in their golden years. It found Gilbert, Arizona to be in the top 100 best places to retire, due particularly to our great job market and high quality of life and health care. In 2010, Gilbert’s public school system was recognized by the GreatSchools organization for our high-ranking, competitive schools. 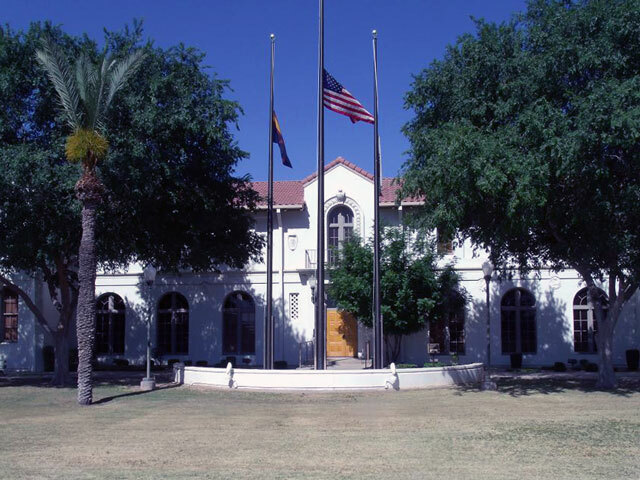 27 of our schools have been awarded the highest Arizona ranking of “excelling,” and another 10 have been rated as “highly performing.” The survey also mentions the wide variety of options available to students, like the Gilbert Classical Academy High School, which ranks 27th in the nation in U.S. News and World Report. Gilbert was the fastest-growing municipality in the entire United States from 1990-2003, and we’ve gone from the ‘Hay Shipping Capital of the World’ to one of the hottest metropolitan areas in the country. In 1980, there were only 5,717 people in our town. Last year, that number exceeded 230,000. That’s over 4000% growth! No wonder we’re still one of the fastest-growing cities in America! We love our four-legged friends here in Gilbert, and Cosmo Dog Park is ranked as one of the best dog parks by both PetVR.com (it snags second place!) and Dog Fancy Magazine. With four fenced-in acres, a lake, lights for nighttime use, dog washing stations, and even BBQ grills for you to cook on, it deserves these honors. Plus, Gilbert hosts other dog-friendly events, like our famous annual BARKtoberfest! Gilbert has one of the lowest crime rates in the country, and we’re dedicated to keeping it that way. Our town offers several programs and services, including free child ID/fingerprinting, the Lock ‘em Out Program, an Identify Theft Reduction program, and neighborhood watch. The police department will even volunteer to do an extra patrol to check on your property while you’re on vacation! Gilbert gets the gold medal when it comes to the best cities for working parents, according to Business Insider. They analyzed median income and housing costs, childcare costs, school quality, and community (percentage of households with children) in the largest cities in America. Gilbert’s superb schools and lower cost of living earn it the top spot! With our high quality schools, low unemployment rates, and our safe community, Gilbert is ranked the 20th best city to live in by 24/7 Wall Street. The study also notes the many outdoor activities we have (Maricopa County has more golf courses than any other county!) and the incredible variety of cuisines one can enjoy here. Gilbert has a low unemployment rate of only 4.4% in December of 2014 (compared to the national average of 5.6% at that time). The median household income is one of the highest in the state at $80,121. And we’ve got plenty of job opportunities, particularly in the fast-growing health care field. We’ve even been selected as the site of Isagenix’s new headquarters! Another list of the top cities in America? You can bet that Gilbert’s on there! With low poverty levels, great air quality, plenty of green space, and an educated, employed population, it’s no wonder Gilbert makes it onto Bloomberg’s list of the best cities in the country. It even has the third-best schools among all the cities in the rankings! So, there you have it: Gilbert’s top ten list of lists. With such ringing endorsements from so many sources, you know that Gilbert is the place to be. And if you’re sick in Gilbert, FastMed Urgent Care is the place to go. Whether your kids need a physical or you want the flu shot, FastMed Urgent Care is here for you.